I try not to use this blog too often explicitly for work purposes, but when given the chance to recruit 12 new digital journalists, I wanted to make sure anyone who might be interested got to hear about what we’re planning. It’s hardly news that video is becoming far more important to publishers. So it shouldn’t be a surprise that video is an area we’re going to focus on – an unavoidable pun – during 2016. 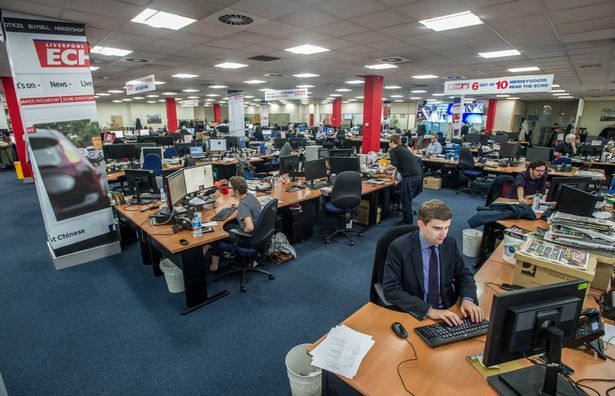 Job adverts for six news and sport video editors, based in our newsrooms around the country, and six news and sport video producers, are currently online. Our aim is quite simple: To ensure readers know they when they click play on one of our videos, they get what they expect, and are happy to click play again the next time they visit. Like everything else in digital journalism, it’s the journalism that comes first and foremost. We hope these jobs will appeal to people who like finding stories and telling stories, just through video. Video skills are obviously also important. But whereas in some newsrooms, video works in parallel to the main news operation, we plan to have video at the heart of it. Video editors will work alongside content editors finding content which supports stories and, crucially, are also the reason for the stories. Sourcing video from third parties is as important as creating content from scratch. While each newsroom will develop its own content schedule, we expect video to help shape the day’s news agenda, and for video to support the areas we’re already very strong in. So that means you could source the video which leads the website for hours, or find yourself inside the football press box filming instant reaction from our writers and fans. Key skills include demonstrable journalism experience, strong writing skills (you’ll be responsible for writing the content which goes around video frequently), video experience or video skills, attention to detail and a passion for digital storytelling. We’re looking for clever, innovative, hard-working, passionate people (who isn’t looking for such people?) who, crucially, love journalism, and in particular digital journalism. The video editor roles would suit someone looking to step up to content management roles in a newsroom, with experience of handling video. The video producer roles would suit reporters looking to expand their knowledge, try something new or who are new to the profession but can demonstrate strong skills. Our newsrooms lead the regional press pack when it comes to digital development, as our audience growth numbers for the last three years have shown. We now need 12 people who love finding great stories and sharing great stories, just as we’ve always done.